With more than 20 years of experience building websites of every scale and economy, we have what it takes to get the job done on time and on budget. Leave the web design to 2 Acre Studios and focus on your business. Responsive layouts, content management, backend apps, we've got you covered. Contact us now, request a quote and let's get started! Scalable with the ability to maintain products on your own customized and branded website. With no monthly fees, you will own your own e-commerce website. 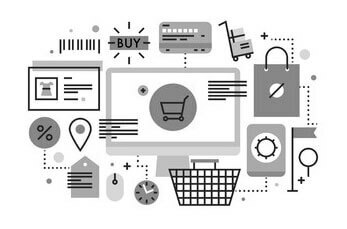 Because it's built on WordPress, you get access to tons of useful plugins and extensions to add more features to create the perfect online shopping experience. 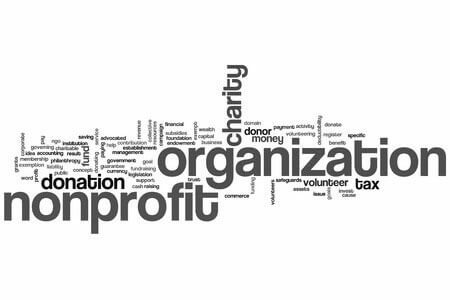 Nonprofit organizations have some particular website needs. Donations are an important function that we can do as a custom integrated feature of the website. Non-profits, churches, religious and secular groups will benefit from the complete solution we've developed. We use the WordPress Content Management System to build powerful, robust websites for every scale. Safe-Secure-Robust-Industry Standard-Open Source-Millions of Users Worldwide-PHP/MySQL Based. From the administration side of the website you have full control, 24x7 to all of your website’s content with an easy to use interface. It also reduces cost when we do content changes and updates for you. All of our WordPress websites are protected at two levels. As the first line of defense, we run the CloudFlare DNS firewall system. Then we run a few key security plugins on WordPress to ensure your website’s safety 24/7. Also all websites and project files are backed up regularly. We use a Responsive framework to create custom themes for our website solutions. This guarantees that your website will look fantastic on all devices regardless of screen size. From an iPhone or tablet all the way up to high resolution computer monitors. Plus, you get a unique theme design rather than using some theme out of the box that thousands of other sites may already be using. All the WordPress websites we build also come standard with a full suite of powerful plugins that add things like SEO, traffic reporting and more.